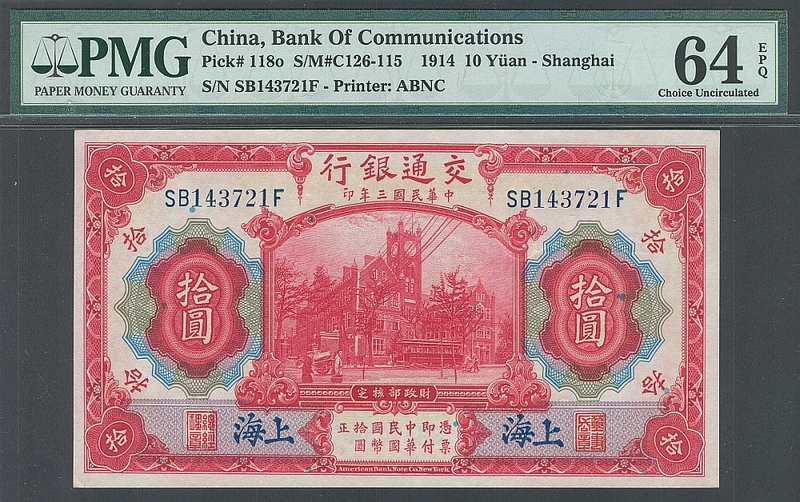 China, Bank of Communications, Shanghai, 1914 10 Yuan, Very Choice CU, PMG-64 Exceptional Paper Quality. 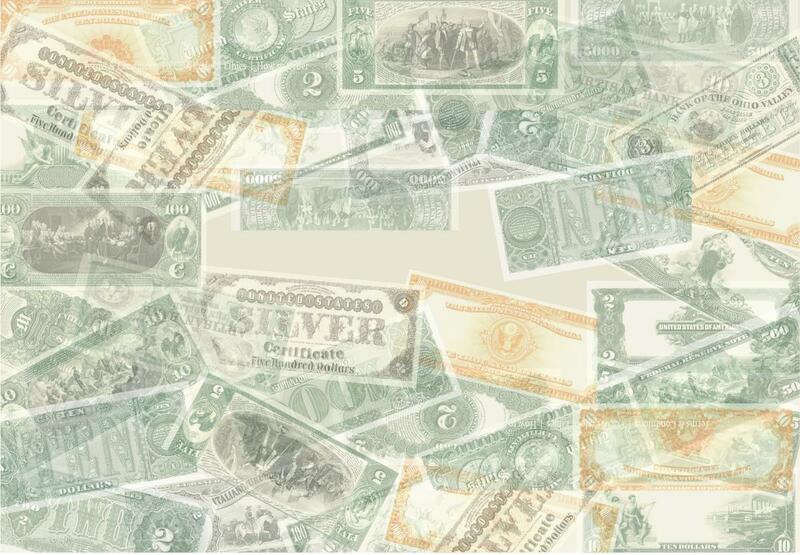 Very strong embossing. 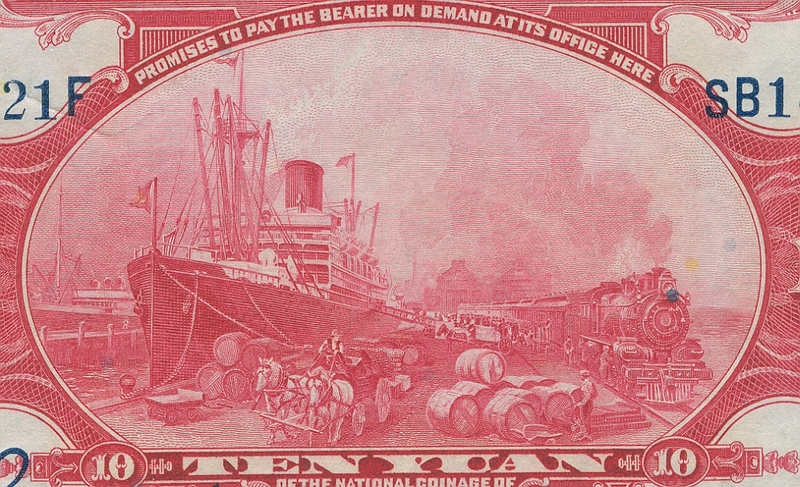 A beautiful, colorful note with great vignettes, including steam train and ship. Not rare, although this is not the most common of the Shanghai varieties. 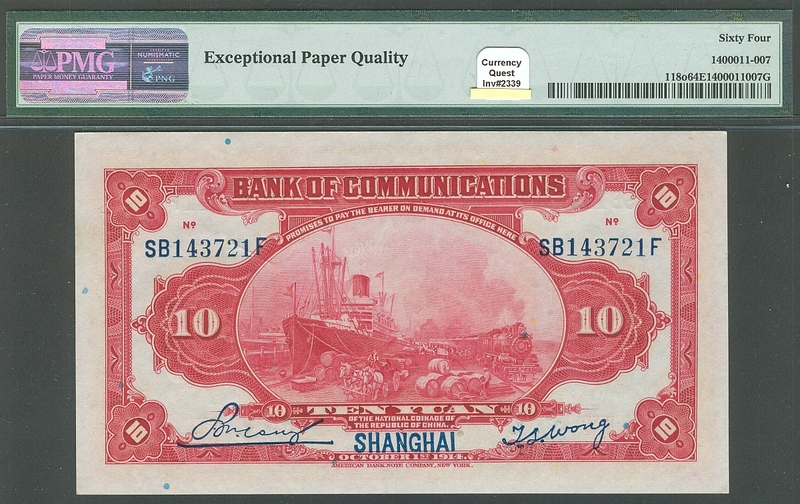 Even as a borderline Gem it is quite affordable and the colors and embossing are finer than most of the higher graded notes that we have seen.